We saw this last summer here in Clark County as a series of events, Cruise-in’s and Concerts, were held around town to benefit the Clark County Veterans Court where those few returning Veterans who experience trouble readjusting from their tours in harm’s way receive help dealing with their problems instead of just being thrown away. This summer will see another recapturing of that American Spirit, celebrating our long love affair with the coolest of cars, great entertainment and of course, really good food as May 18, 2013 will see an early summer kick-off at Boppin’ Bo’s Malt Shop and Grill, 7809 NE Vancouver Plaza Dr Suite 110, Vancouver, WA 98662. From 1 to 5 PM, you are invited to come on out, “forget your worries and what life sometimes throws at you, and remember a time when life was easier” and enjoy a California Dreamin’ Burger, a Lucy Grilled Cheese or even a Graceland Special, a grilled peanut butter and banana sandwich. You will also be entertained, free of charge, by some of the most talented entertainment the Pacific Northwest has to offer. 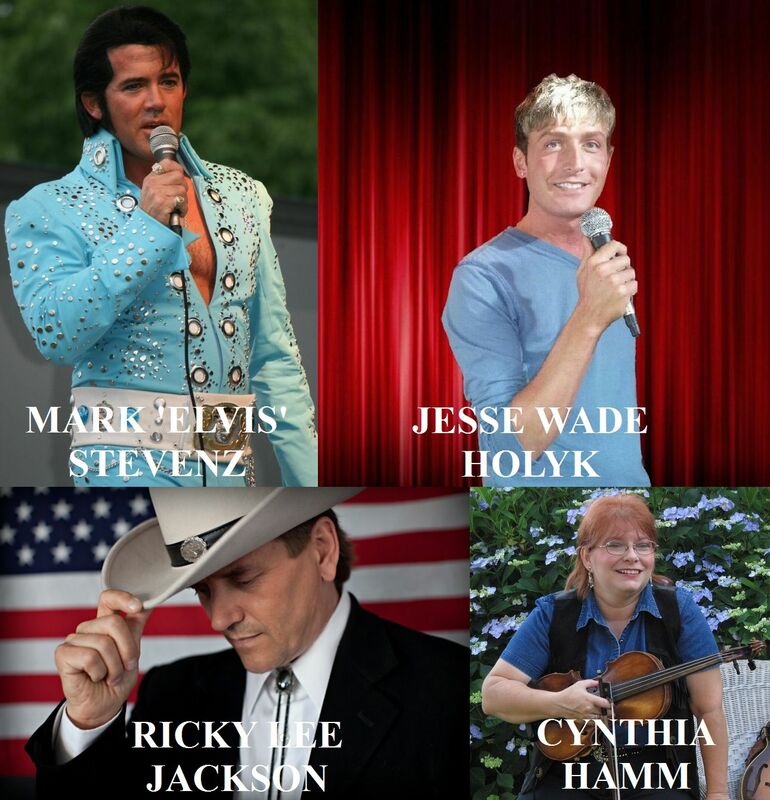 May 18 is also the day of the 2013 Hazel Dell Parade of Bands and this year, will see ‘Elvis’ and Cynthia Hamm performing live on a float in the parade. It is hoped there will also be tribute artists for George Jones and Louis Armstrong. After the parade, ‘bop’ on out to Boppin’ Bo’s to continue your fun filled day, all while helping our Veterans in need by supporting the Clark County Veterans Court. As was shown in this post, Veterans Therapeutic Courts are achieving remarkable results helping those few in need of assistance reentering society. The successes have been immeasurable as we owe these young men & women so much more than we can repay for their sacrifices. The Clark County Veterans Court came into being by the efforts of Clark County District Judge Darvin Zimmerman, awarded the Local Hero Award by the Washington State Bar Association. His tireless efforts at organizing these concerts, lining up world class talent and spreading the word keeps the Veterans Court functioning, along with your generous donations that help offset costs for peer mentors and other projects approved by the Board. What better way to kick-off the summer than to reclaim memories of a much simpler time when gas was cheap, taxes low and we could cruise carefree with the wind in our hair and radio turned into an AM station, playing the latest hits of those great artists of yesteryear? And you will be doing something positive by helping our Veterans.